NEW DELHI (PTI): Army Chief Gen. Bipin Rawat and top commanders held detailed deliberations Tuesday on ways to make the force "leaner and meaner" which included carrying out an extensive organisational restructuring and downsizing of the force, official sources said Tuesday. They said the top brass examined separate reports of two committees on reforming the second largest standing Army in the world. The sources said the top commanders will have extensive discussions on downsizing the Army as well as on other reform measures at a meeting next month. There have been indications that the Army may cut over 1,00,000 troops over the next five years as part of restructuring process. The current strength of the force is around 1.3 million personnel. The commanders also reviewed the modernisation process of the Army and emphasised on the need to equip the force with new platforms and weapons, the sources said. The defence ministry has already announced a series of reform measures for the Army which included redeployment of nearly 57,000 officers and other ranks as well as ensuring better utilisation of resources. 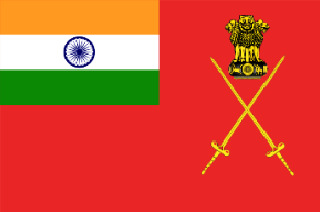 Under the cadre review, the Army is also looking at abolishing the rank of brigadier, they said. The sources said the aim of the reform initiative is to ready a larger talent pool for crucial tasks and bringing down the age of those commanding key formations. The committee is also examining various options to bring down the age of commands at all levels and ensure deploying the right person for the right job. The sources said the committee is expected to make recommendations for longer tenures of brigade commanders, divisional commanders and core commanders.